Keeping your pet well-groomed not only makes for a better smelling companion, it also makes your pet more comfortable and enables you to potentially spot health problems before they get too serious. No kidding! In fact, there is a host of benefits to having your dog groomed on a regular basis. Just how important is pet grooming? Well, if you have ever had to deal with your hair being matted, unable to get cleaned, you would know how a pet who needs grooming feels. Just imagine how uncomfortable you would be if you were to go weeks or months without a shower. Buckeye Pets of East Columbus offers you some very good reasons to have your pet groomed on a regular basis. Regular grooming goes a long way in keeping your pet’s coat shiny and healthy. Not only does proper grooming aerate the coat, which encourages healthy growth, grooming also keeps levels of grease to a minimum, which helps prevent matting and other skin irritations. When you take your dog for a walk or play outside with your pet’s, can you hear the nails clicking on the sidewalk? If so, then you need to have them clipped. While short nails enable your dog to be fast and agile, long nails can grow into the toe pads and become infected and cause pain. He/she could have pain just standing on his paws at a standstill. 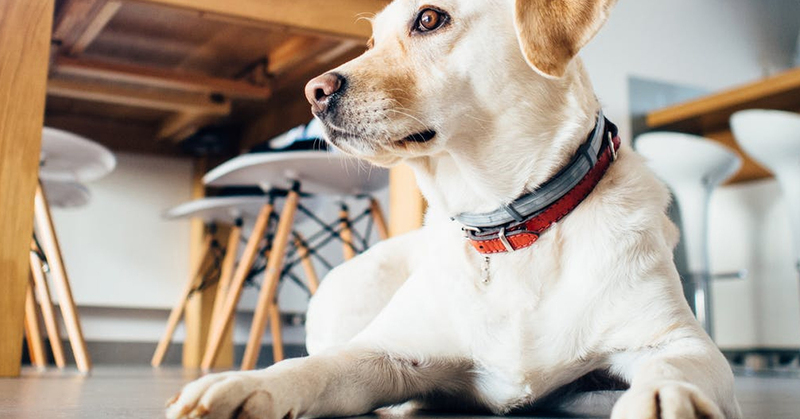 As a bonus, trimmed nails on Fido save a whole lot of wear and tear on your floors at home and helps keep the unwanted scratch marks on you that hurt. It is very important to keep your pet’s ears clean in order to prevent ear infections and any ear smells that can be rather gross. Your pet groomer will keep gunk from building up in your pet’s ears. If you own a dog or cat, having dog or cat hair throughout your home is a given. However, you are able to keep pet’s hair from overtaking your home if you have your furry loved one groomed on a regular basis. Regular grooming means much less hair flying around the rooms in your home and sticking to your work clothes and or flying into your food, when trying to eat. Dogs and cats cool themselves down by panting and through the pads on their paws. This means it is important that you have the pads trimmed and the hair between them trimmed to make sure your furry loved one stays cool and comfortable. If you could only teach your pet to chew mint gum he/she would have fresh-smelling breath. But until you manage that, it’s a good idea to have his teeth cleaned. It is also healthy for them. In general terms, a clean pet is a happy and friendly pet. Your pet feels much better, when there is no fur in the eyes or matted over the paws. Uncleaned pet’s become very nippy and grumpy. Uncleanliness could potentially harm your pet in the long run. Build up glunk along the eyes, in the ears, untrimmed nails and uncleaned teeth and addition, there are any number of adverse side effects that can occur in pet’s who are not groomed on a regular basis. Some of the negative effects can lead to expensive vet bills, something you want to avoid at all costs.